When you arrange a 4WD hire for Fraser Island, you want to be sure you acquire a vehicle that will suit your requirements and won’t let you down. You will receive this with our selected vehicles. 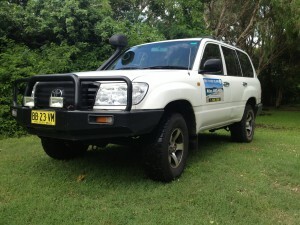 You can choose your vehicle or have us select one for you with our years of experience driving on Fraser Island. When you book a 4×4 Fraser Island Hire experience with us, you know you’re receiving the right vehicle for you. Driving on Fraser Island is a unique experience and unlike anything you may have encountered before but with our free training you won’t encounter anything that you can’t handle. You won’t leave us till we’re sure that you’re thoroughly familiar with the vehicle and understand how to handle the road conditions on Fraser Island. 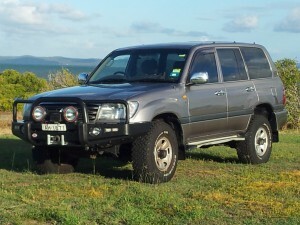 If you would like to see Fraser Island in comfort, style and safety this may be the 4WD for you. 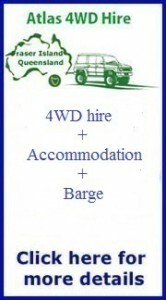 Please contact us if you need any more information or have any further question regarding our vehicles, Fraser Island or hire rates and packages.